This yellow flowering agastache matures at 24 to 26 inches heigh. 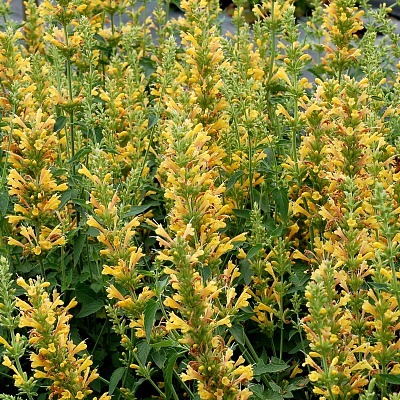 Pair the Kudos Yellow with other agastache such as Mango Tango or Rosie Posie for amazing color contrasts. Blooms from early summer to early fall. Kudos Yellow Aastache is grown in 3.5 inch pots. Orders shipping to CA or AZ may be bare rooted and root washed before being prepped for shipping.